A CONTROVERSIAL festival has taken place in central Spain. 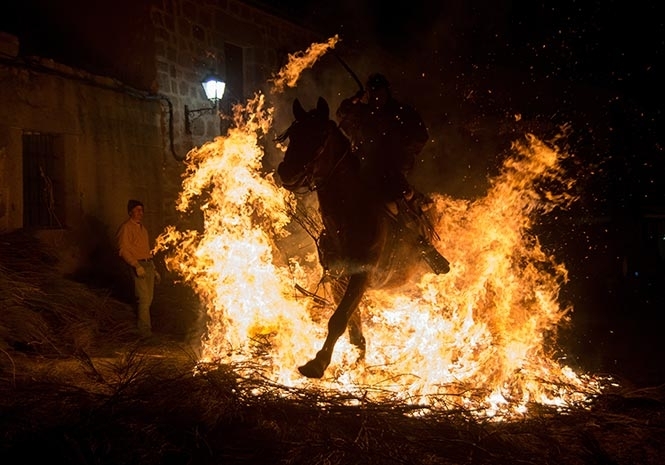 On the eve of Saint Anthony’s Day, Spain’s patron saint of animals, the Las Luminarias celebrations see revellers ride their horses through roaring bonfires to the sound of drums in order to purify and protect them for the year ahead. Taking place in the town of San Bartolome de Pinares in Ávila Province, Castile and León, the annual event is claimed to be 200 to 500-years-old. The riding ends at midnight, when the eating and drinking begins. 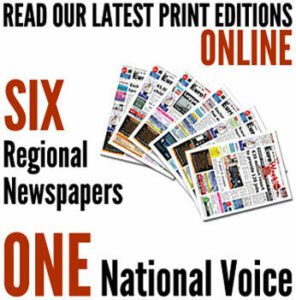 But animal rights groups are up in arms over the tradition, with the ‘animalist’ political party PACMA referring to it as “clear animal mistreatment” on its website, while it has also been slammed by international media. Organisers say the horse come to no harm, with one rider telling Spanish media that the ritual is “more than a tradition, for us it is a feeling. “There was an epidemic that killed all the horses in the town. It comes as pet owners prepare to take their animals to church for a blessing, with dogs, cats birds, mice, cats, rabbits and even fish, lizards and turtles sprinkled with holy water. Although traditionally taking place today – Saint Anthony’s Day itself – many of the faithful now line up on Sundays, with large queues often forming. Grow up Spain, your silly sky wizards don’t exist.